Arrange the lettuce in a pile on a serving platter. Combine the chicken, mango, capsicum and coriander and set aside. 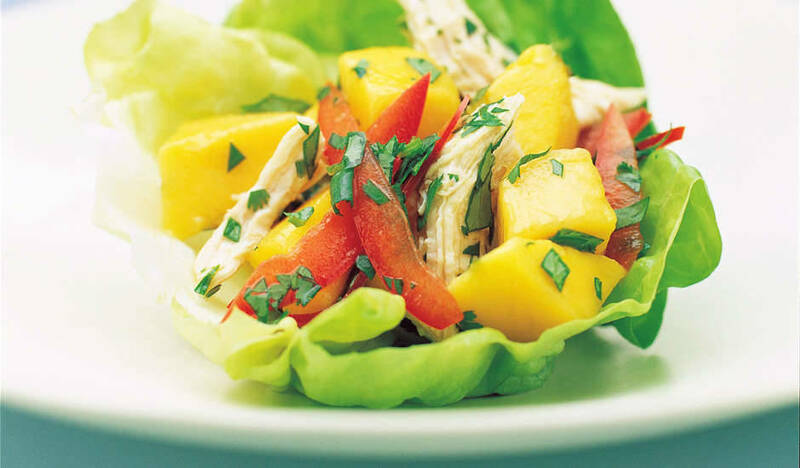 Combine the dressing ingredients and mix through the chicken and mango salad. Pile beside the lettuce leaves. To serve, fill a lettuce leaf with some of the chicken and mango salad then roll up and eat! Tip: Add 1 large handful of bean sprouts and ¼ cup chopped roasted peanuts to the salad.